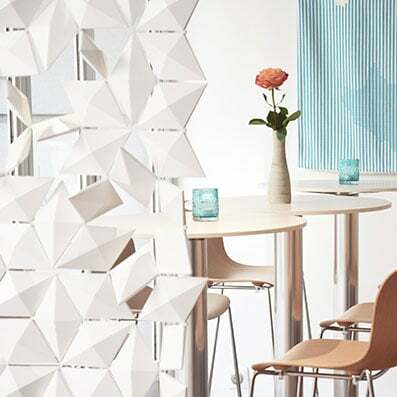 Our room divider, Facet, is a superb choice for restaurant partitions seeing as it is a gorgeous piece of design furniture. It can be fully customized to meet your specific needs and your customers will most certainly be impressed with your unique choice of decoration. 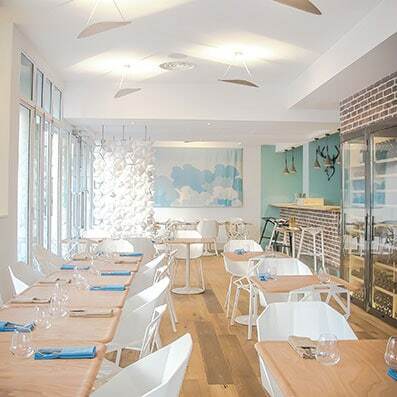 Choose the size and finish of your restaurant partitions. If you view our webshop, you can see the six other colors we offer. Why not try a lovely warm Chestnut color or Graphite for a more dramatic effect? As is seen in the featured pictures, we also offer our room divider in White which looks stunning in a modern interior. Another option is that you go for a custom divider. Bloomming is a very flexible company, if you have a slanted or high ceiling we offer various custom options to make Facet available for your space. Together with your order, you will receive a handy guide with instructions for installing your restaurant partitions. The simple design of Facet makes it very easy to handle. Twist the facets for an interesting effect. The restaurant partitions seen here are hanging in a restaurant in Clermont Ferrand, France. It ties in perfectly with the Danish design of the rest of the furniture. 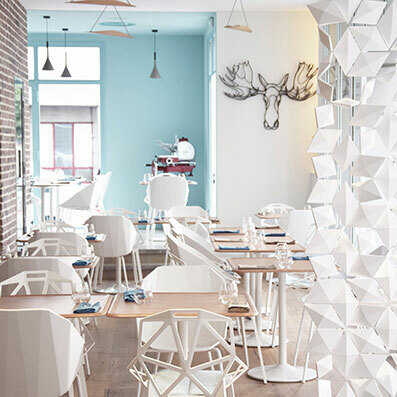 The two types of white chairs have a unique geometric design and so does Facet which makes them fit together beautifully. As you can see in some of the pictures, the diamond-shaped facets have been turned in different directions in a haphazard way. This gives the screen a very interesting look, almost like it has been deconstructed. 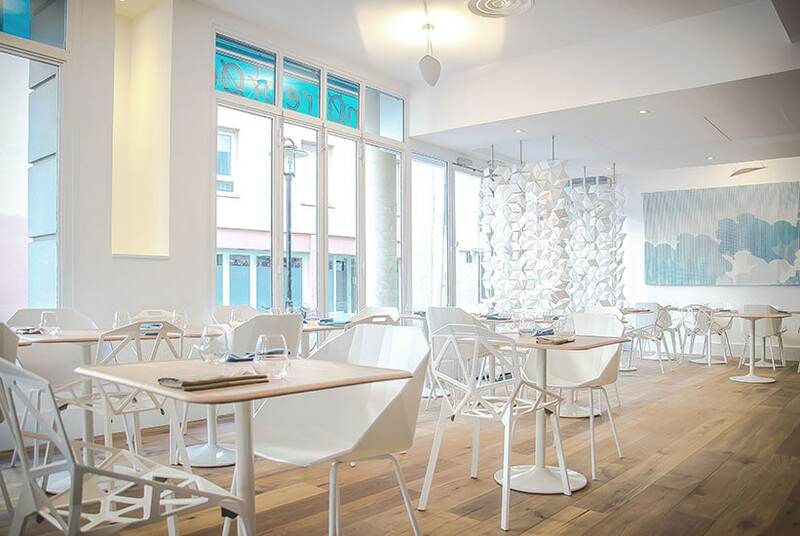 It also adds a contrast to the very neat furniture giving the restaurant a modern look. All of our Friends Love it! When my partner first talked to me about this new room divider concept I was a bit skeptical. Today I can say it is one of the very best decisions we made concerning the decoration of our apartment. All of our friends love it! It totally prevents strangers at the doorstep from seeing us chilling on the sofa and yet it matches so well the rest of our decoration that it's almost as if it wasn’t there! Thank you so much, people!